Winter. There’s no avoiding the harsh weather, with its freeze and thaw patterns. While walkways and steps demand immediate attention, there is also the problem of ice forming on the eaves of our homes. Owners of historic brick homes will want to learn more about preventing the damage that can result. First, heat collects in the attic and warms the roof, except at the eaves. Next, snow melts on the warm roof and then freezes on the cold eaves. Finally, ice accumulates along the eaves, forming a dam. Meltwater from the warm roof backs up behind it, flows under the shingles, and into the house. The first warning might come with the sight of water dripping from a soffit panel under the eaves. Next, water may form icicles on the siding. If left unchecked, it can move into the home's interior, where you may see drips from the ceiling or running down the walls. Damage to the interior can vary from a small spot on the ceiling to saturated insulation and drywall. In some cases problems with mold will develop. Use heated cables. Attached with clips along the roof's edge in a zigzag pattern, heated cables combat ice dams that lift shingles and cause leaks. Blow in cold air. Take a box fan into the attic and aim it at the underside of the roof where water is actively leaking in. This targeted dose of cold air will freeze the water in its tracks. Rake the snow. Pull off snow with a long-handled aluminum roof rake while you stand safely on the ground. Additional information on these short term fixes and some permanent solutions for preventing ice dams can be found at This Old House. TOH Tip: To keep ahead of water damage, snap photos where you see frosty buildup. Use the pictures to help target an interior inspection, during which you should check for leaks. Renaissance Development, masonry contractors in Washington DC, is a leader in brick restoration and preservation of DC area historic homes. 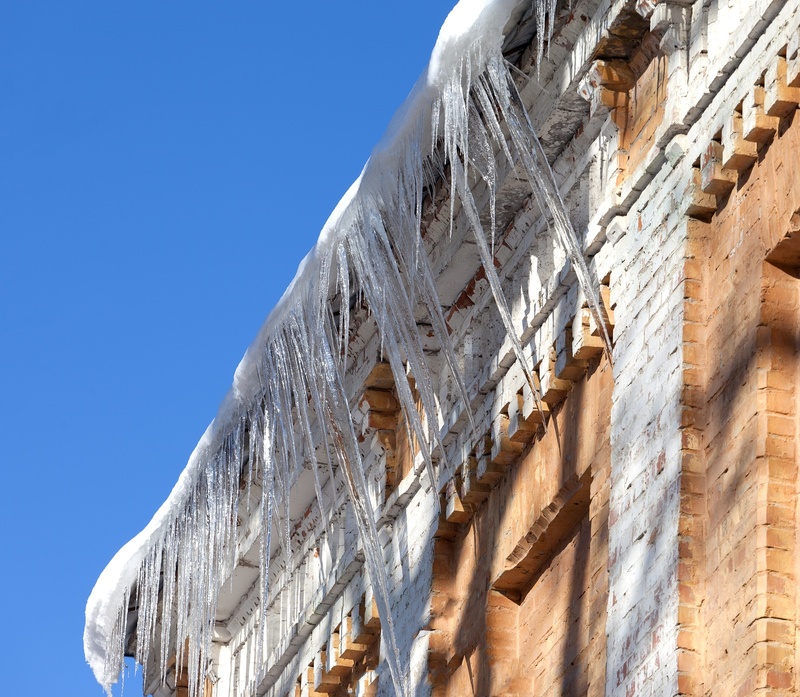 If your DC brick home has sustained damage from ice and winter weather, contact us.